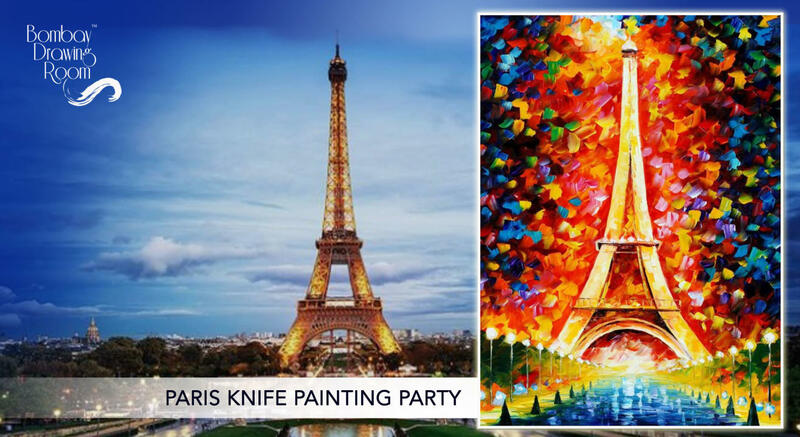 Explore your creativity and express yourself through art, at the Paris Knife Painting Party by Bombay Drawing Room. 14" x 18" Canvas & all art supplies are all taken care of. And best part? Painters, beginners & non painters all are welcome, no experience in drawing and painting is needed. Oh yes, you get to carry the painting home! With no prior painting experience required, this will be a guided session, shedding light on the strokes, sketches and techniques and helping you paint, getting in touch with the artist within. We will be painting using knives & acrylic paint on Canvas.